Chris Samnee: Fear Agent: in Technicolor! Thanks so much to Nolan Woodard (who's posted this image up on his website/blog as well) for making something I was afraid might have been too busy in the inks to even be readable in color into something of beauty. Cheers, Nolan! 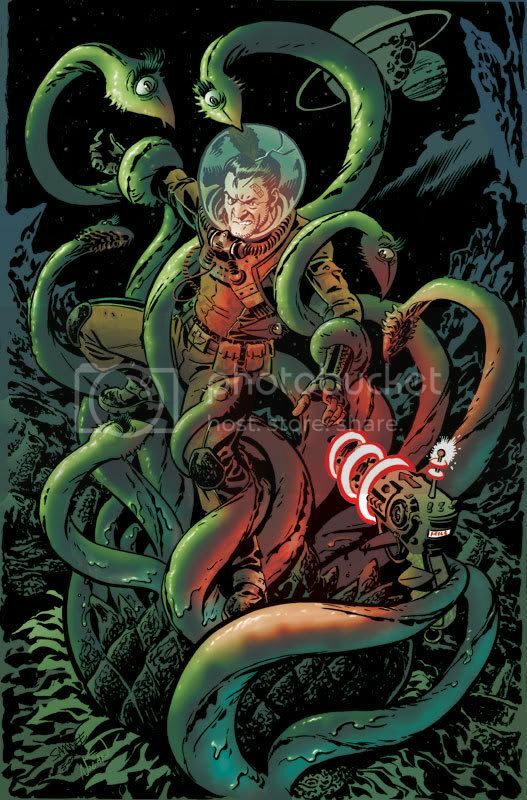 Oh, and this'll be the back cover to Rick Remender and Tony Moore 's Fear Agent #2 in case you didn't know. Heroes Con, Here We Come!